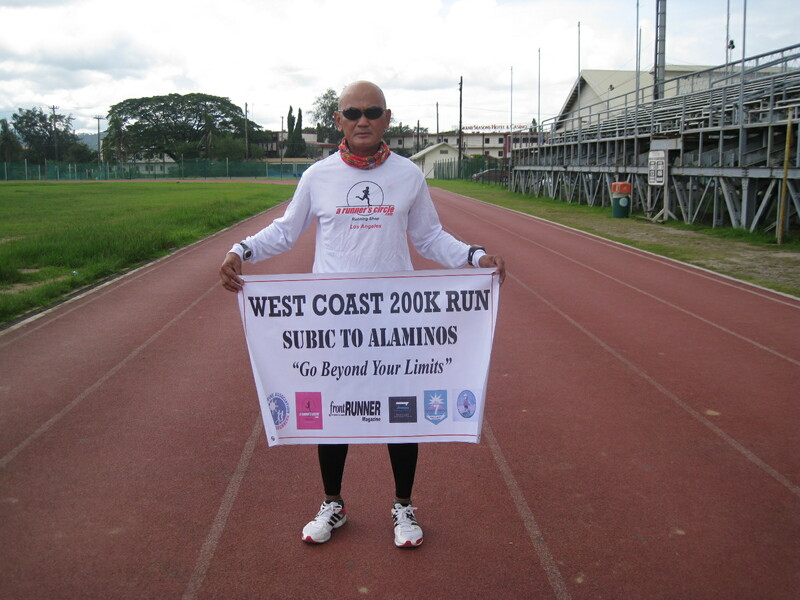 The plan to run a 200K adventure run was conceptualized when I had my final coordination with the Office of the Governor of Pangasinan on the conduct of the COCOS To SUAL 65K Ultra Run on the 3rd week of July this year. After I’ve finished with the final coordination in Bolinao, Pangasinan, I decided to take the Olongapo-Bugallon Highway on my way back to Manila. From Bolinao, Pangasinan, I took the road from Alaminos going South to the towns of Mabini, Burgos, Dasol, and Infanta. 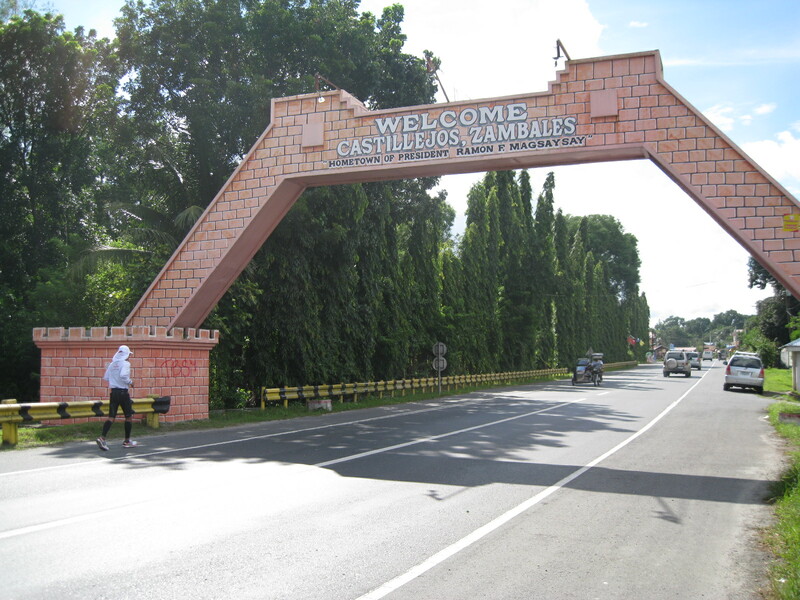 The next towns would be inside the province of Zambales from Sta. Cruz to Olongapo City. It was an easy drive on the said Highway as there was no congested traffic and the scenery was refreshing. On your right is the west coast of Luzon and on your left is a combination of the scenery of the Zambales-Pangasinan Mountain range and the rice fields. 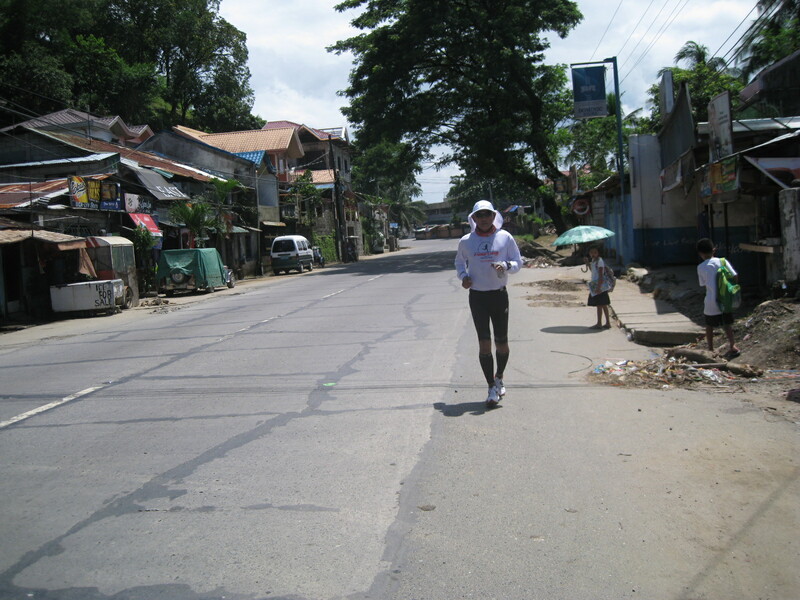 Except for the usual congestion in the center or poblacion in every town, the road is very wide and smooth. It is only in Iba, Zambales, the capital town of the province where there are more structures/homes/buildings and commercial establishments lined up along the highway. tourists. Although I did not have any chance to enter in one of these resorts during my drive back to Manila, I am sure that these resorts are being visited by tourists during the summer season. This easy drive along the said Highway last July was my second time to pass along the route. I had my first occasion to pass along this route sometime in 1995 when I was a Battalion Commander within the Luzon Area and it did not give me a nice impression about it because I slept the whole time from Burgos, Pangasinan to Olongapo City. Driving through this route last July gave me a better appreciation of the place because I was aware of the surroundings/landscape and the scenery being the driver of my own car. I was impressed about the road and the place. 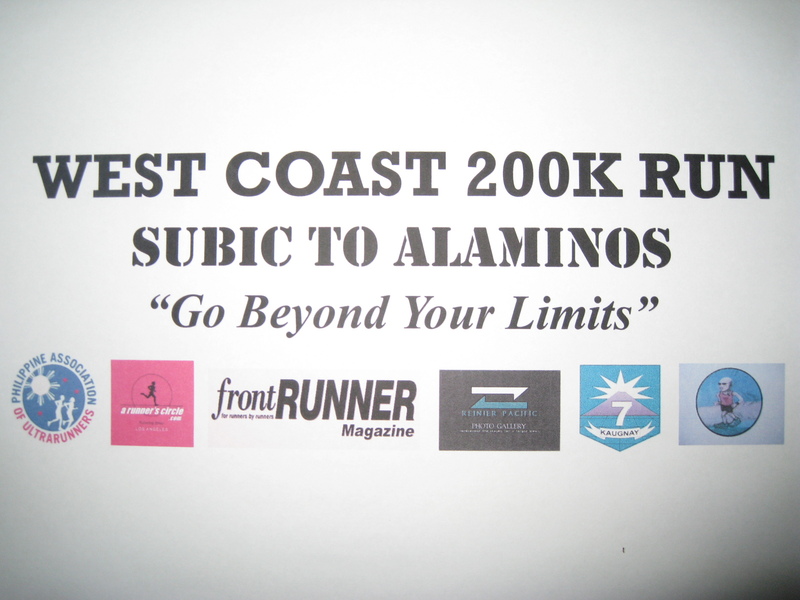 After a 3 ½-hour easy drive from Alaminos, Pangasinan, I reached the Kalaklan Gate at Subic Freeport and the seed for a future adventure run was planted in my mind. I decided to name it as the “West Coast 200K Endurance Run”. It’s an Ilocano word for “It’s Done”. 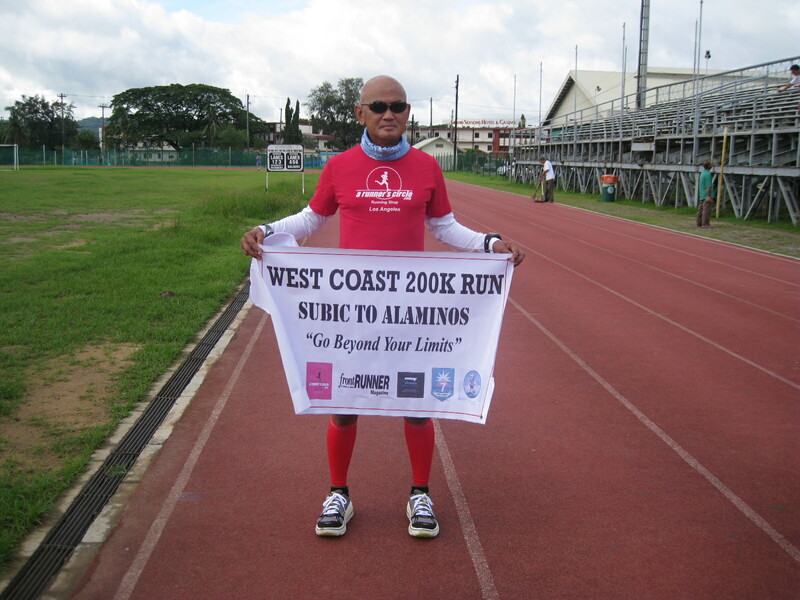 I finished my self-proclaimed “West Coast 200-Kilometer Endurance Run” in 57:48:32 hours with the route along the Olongapo-Bugallon Highway from the Remy Field’s Oval Track at Subic Freeport to Alaminos, Pangasinan. September 23 (Friday). I simulated this run at my own “race pace” which I purposely did at nighttime. 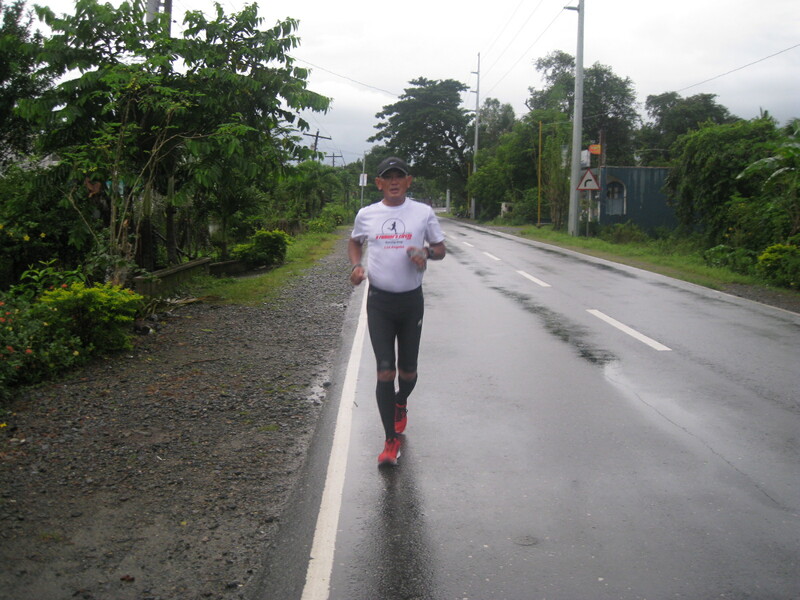 I was able to complete the remaining 60.4 kilometers in 9:48:32 hours to include brief “pit stops” and some “photo-ops”. Average Heart Rate: 138 bpm. 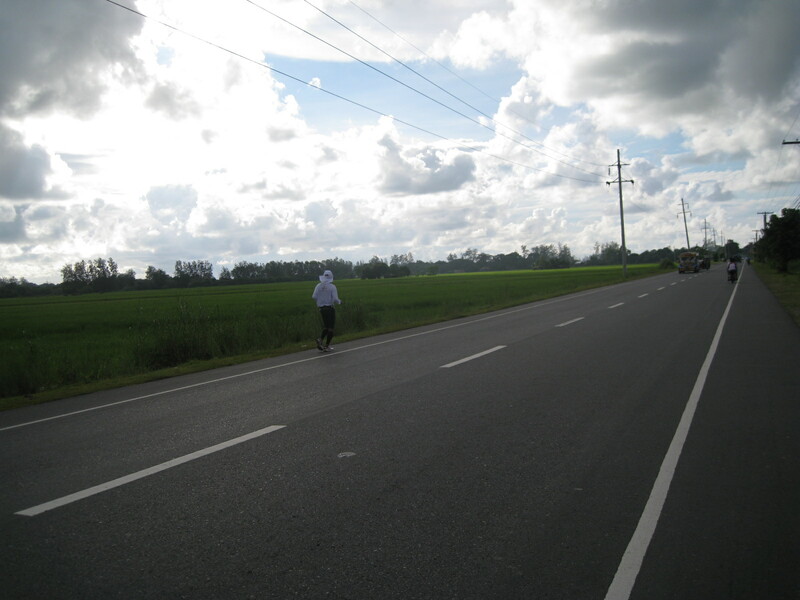 I was able to finish my self-proclaimed run in almost 3 days with an average daily distance of 66+ kilometers! This could be my best performance in my adventure runs despite some setbacks (dog bites, LBM, recovery from my left knee injury and inclement weather on my last day’s run). 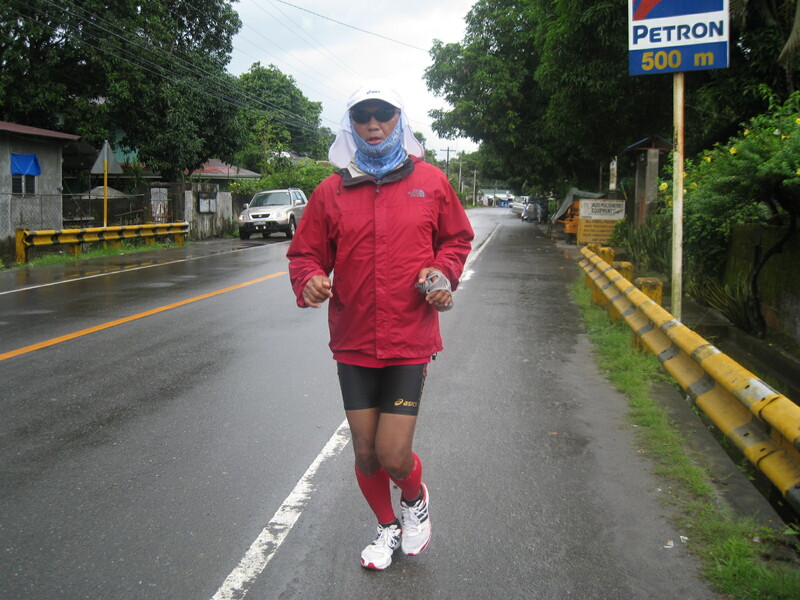 A big improvement from my best daily run of 55 kilometers during my 1st adventure run from Manila to Baguio City. This feat would not be possible without the snappy performance of my support team (a driver and a support crew). I would like also to thank my sponsors—A Runners Circle Specialty Store; FrontRunner Magazine, Northern Luzon Command of the AFP, 7th Infantry Division & 24th Infantry Battalion of the Philippine Army, and Reinier Pacific for their support on this adventure run. Details on my training and preparation, details of the route and personal thoughts during the run, my running kit, and my daily experiences & photos will posted soon in this blog. Now, it’s time to rest and recover and make a detailed account of this adventure run. How I wished I could post a “near real-time” account of this run but due to weak Internet connection along most of the the areas of the route, my time could had been wasted just to look for reliable signal or places with WiFi connections. 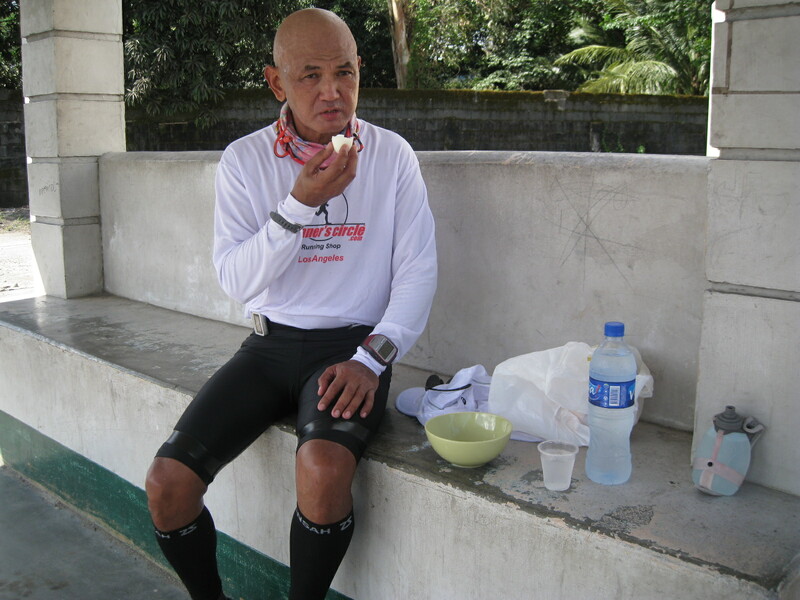 My special appreciation goes also to those who prayed and wished for my fast recovery/treatment for my dog bites and those who wished me for my safety and best of health during the duration of my run and trip in this latest adventure run. As always, this adventure run is dedicated to all the runners out there, whether you are a novice/beginner; average runner; or a seasoned ultra runner. 2. Runners are allowed to have their support vehicle & crew but they are not allowed to have pacers. (Note: Pacers should be registered runners). Support Vehicle should “leap-frog” from their runner/s and “shadowing” the runner is strictly not allowed. There is no prescribed number of runners to be supported for each support vehicle. 3. 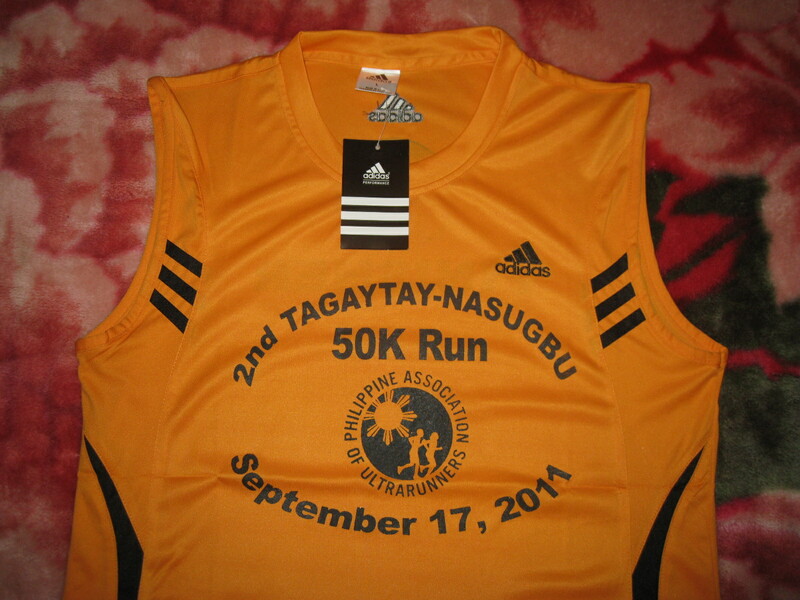 Runners’ Bib should be pinned and displayed in front of the runner’s apparel. Bandits will not be tolerated during the run. 4. Runners are highly encouraged to bring and wear with them their respective hydration system/belt during the race. There will be No Aid Station along the route. 5. Cut-off time is nine (9) hours. 6. Runners are encouraged to stay on the left side of the road, facing the incoming traffic. Some parts of the route are narrow and runners should always be attentive and vigilant of vehicles, in front and at their back. 7. Runners are also encouraged to run in single file as the road will be busy with the traffic of vehicles. 8. Ipods, MP3s, and “wires” are allowed. However, users should be attentive with their surroundings. 9. As in the past PAU races, every finisher will receive PAU Finisher’s Medal and Finisher’s T-Shirt. Finishers/Runners will be served with pack lunch at the Finish Area. 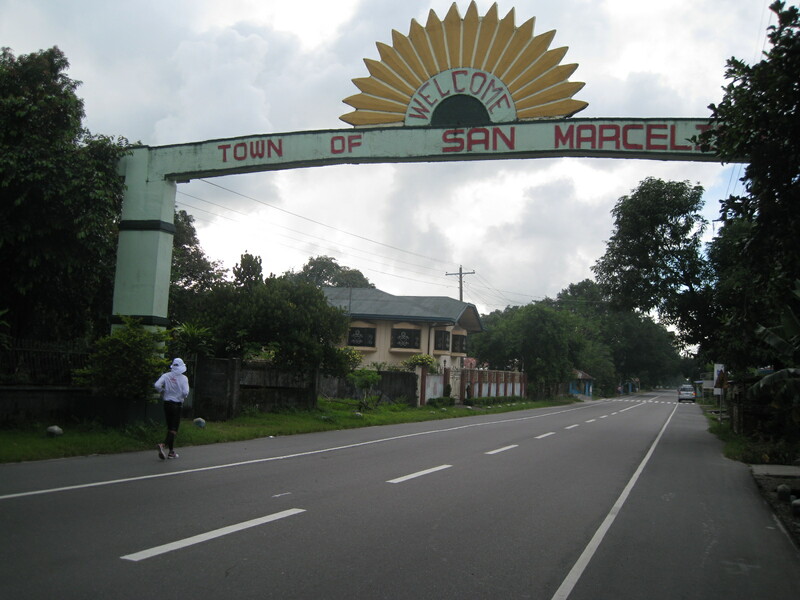 Results of this race will be included in the rating/ranking among PAU runners for 2011. 10. Integrity of the Race shall be upheld and respected. 11. Corporate Logos will not be allowed to be displayed on support vehicles. However, tarpaulins of running teams/groups are allowed WITHOUT corporate logos. 12. The spirit of ultra running is highly encouraged. Finish the race, encourage/help one another, develop friendship before, during & after the race, and have an ULTRA FUN during the run! 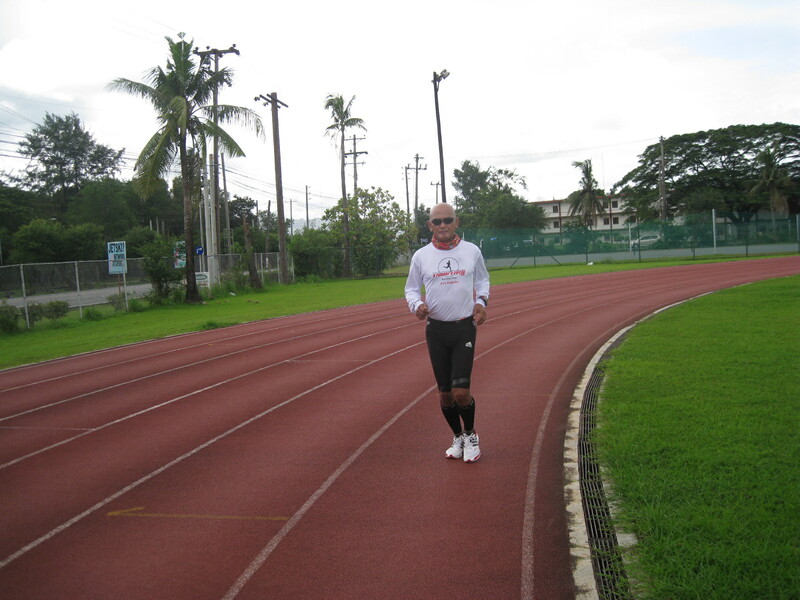 Single-Stage Solo Run from Remy Field Oval Track, Subic Freeport up to Barangay Lucap, Alaminos, Pangasinan and back to the City Hall of Alaminos as the Finish Area. The route will be along the Olongapo-Bugallon, Pangasinan Highway, passing through the cities and municipalities of Zambales and some of the western towns of Pangasinan. No “fancy” stuff or any kind of advocacy on this run. 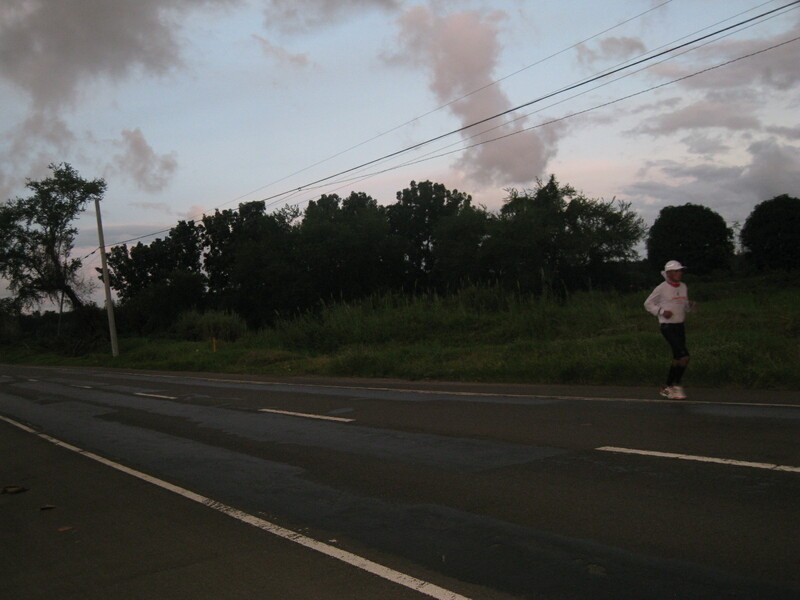 This is a test of human endurance to be able to promote ultra running in the country. 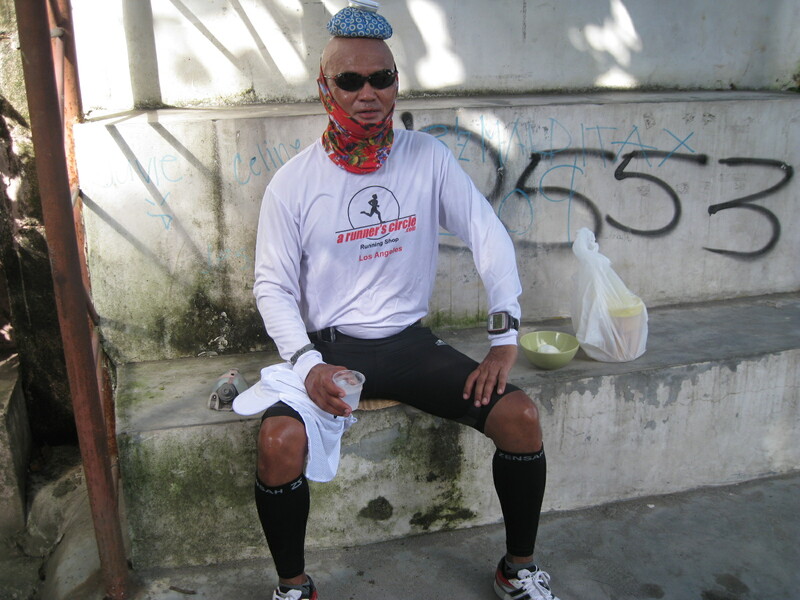 This route is envisioned to be the future “Badwater Ultramarathon” of the Philippines. My special thanks to those who supported this event. No need to mention their names as their respective company/organization’s logo is depicted in the picture above. Thanks for your generosity and continuing support to the running community in the country. Updates on “near real-time” will be published on this blog soon. Start Time: 11:20 AM, September 13, 2011.